These two pieces of paper show Atchison, Topeka & Santa Fe Railway Company stationery. 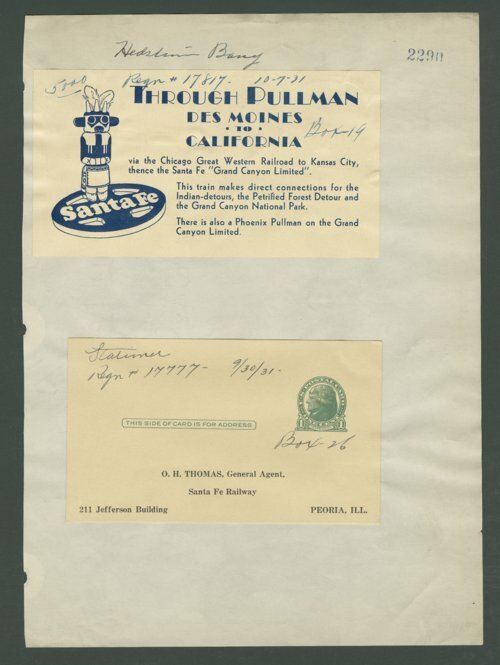 The top piece of paper is for the Pullman that runs between Des Moines, Iowa to California and through the "Grand Canyon National Park. The bottom is a postcard used by O.H. Thomas General Agent, of the Atchison, Topeka & Santa Fe Railway Company.